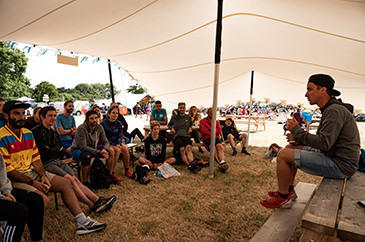 This year will see Jody return for his fourth talk at Love Trails Festival. 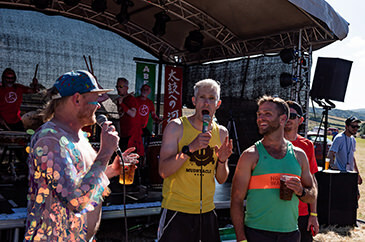 After 8 years in the Army, running in some of the worlds most extreme and dangerous locations, he joins us this year as the CEO of Midnight Runners which is quickly becoming one of the world's largest urban running communities. However Jody is far from just another urban runner. In this talk he will reflect on his own journey in the sport he loves and the people he has met on along the way. From Palestinians using running as a way of telling the story of their lives under occupation in the West Bank, to organising a marathon in the Somali Capital in the middle of a 26 year old civil war, to what its actually like to run in Afghanistan; this talk will tell the story of modern running, through the eyes of somebody who has had the unique opportunity to connect with people whose running narrative is rarely told - but whose stories are breathtaking - and that most of all how running, in whatever shape or form - can truly change the world.